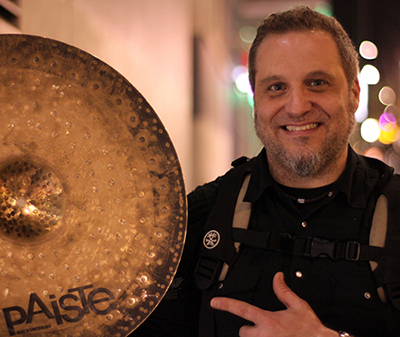 "Paiste cymbals are so expressive they have changed the way I play drums. They record brilliantly as well. To sum it all up in two words... John Bonham." Jeff Consi is a New York drummer who currently lives and works in Melbourne. Jeff is most known for his work with guitarist Nuno Bettencourt from the multi-platinum selling band Extreme. Growing up with a father who was a New York City studio engineer, Jeff was exposed to recording drums at a very young age. This invaluable experience has made Jeff a sought after session drummer for many local and international artists.